It's Vinyl Record Day - Listen To And Appreciate Your Records! August 12th is Vinyl Record Day and was launched in 2002 by Gary Freiberg. Vinyl Record Day raises awareness on the importance of preserving vinyl records that once played such a pivotal role in American pop culture. Vinyl Record Day coincides with an important day in music history; on August 12, 1877, Thomas Edison invented the phonograph. “Vinyl Record Day is about celebrating vinyl records and the public should take notice of this special day. 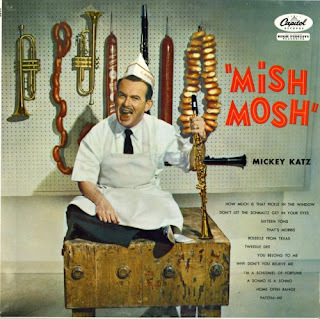 Invite friends and family over for a barbeque, maybe form a block party and play records, think records and talk about records and what they mean to each of us individually and culturally,” explains founder Gary Freiberg. Working with Gary over the years, I know is fully committed to keeping vinyl alive and is very passionate about the subject. “Jews on Vinyl,” an unusual museum exhibit focused on the recent Jewish past, has arrived at the Yeshiva University Museum after touring the West Coast for two years. The exhibit is a project of the Reboot Stereophonic non-profit record label, and is based on the 2008 book “And You Shall Know Us by the Trail of Our Vinyl: The Jewish Past as Told by the Records We Have Loved and Lost,” a glossy collection of over 500 vintage record covers collected over 15 years by guest curators (and Stereophonic Reboot founders) Josh Kun and Roger Bennett. love this write up, if you are in the area, be sure to visit all six! Whether you are a collector or just feeling nostalgic, buying a record can definitely bring back memories of simpler times and great music. Despite records being outdated, there are still plenty of record stores in New York. Check out our top six picks and—while you’re there—feel free to buy your favorite album from middle school, play your best air guitar and teach your kid what a record is. To celebrate Minus the Bear’s 10th anniversary, Suicide Squeeze will issue the band’s earliest recordings on vinyl on September 13th. Highly Refined Pirates, which has been credited as their first proper album, will be remastered for vinyl from the original tapes. The initial pressing will be limtied to 2,000 copies with 1,000 on clear and 1,000 on 180 gram black. You can pre order here. This is What I know About Being Gigantic will also be remastered and released on vinyl with the initial pressing 1,000 copies on clear and 1,000 copies on 180 gram black. You can pre order What I Know About Being Gigantic here. Kiss have long been famous for their savvy approach to merchandise, with the prime example being the Kiss Kasket, an actual coffin emblazoned with the band's logo and graphics (and now there's even a Kiss cremation urn). So, with all that Kiss-related swag and marketing tie-ins, does guitarist Paul Stanley worry that the band name is branded on too much stuff? Coldplay will issue the follow-up to their 2008 album (Viva La Vida or Death and All His Friends) 'Mylo Xyloto,' which was produced by Markus Dravs, Daniel Green and Rik Simpson. Additionally, the group brought back 'Viva La Vida' producer/collaborator Brian Eno to provide "enoxification and additional composition" to the song set. A tracklist has yet to be revealed, but it has been noted that "Paradise" will be the next single, which follows "Every Teardrop Is a Waterfall," and will be issued commercially and to radio on September 12. Package-wise, Mylo Xyloto will be available in digital, CD and vinyl versions. A 180-gram vinyl edition will include a 12" x 36" poster, while a special limited-edition "op-up album" version will feature a 12" x 12" hardback book containing graffiti pop-up art designed by David A. Carter, along with the vinyl, CD, and exclusive content including photographs and a studio diary. this site was recommended to me by a friend in vinyl (Hey DJ!) and i really like their approach, everything is right at your fingertips. this program and its apps will help record collectors as they search far and wide for that elusive gem to add to their collection! 1) Northern - The Soul Sounds Unl. "The word called love"
4) ULTRA-RARE funk45 Dayton Sidewinders on Carlco Hear! 5) RATTUS TOILET BLOWS UP LP MUTHA PUNK NM EXTREMELY RARE! "On August 11, 2011, patrol officers from Topanga station responded to a 9-1-1call of a death investigation in Woodland Hills. "At around 5:30 p.m., Los Angeles Fire Department paramedics arrived to the 20100 block of Ventura Boulevard, immediately followed by Topanga Area officers. When emergency personnel arrived, the Fire Department pronounced the death of a 47-year-old man, later identified as Jani Lane, the lead singer of the popular rock band WARRANT. "The cause of death is unknown and the Los Angeles County Coroner's Office is conducting an investigation into Mr. Lane's death." "We are deeply saddened to hear the news of Jani's passing. Our thoughts and prayers go out to his family. Jani was a very important part of our lives for a long time. We will always be incredibly proud of the music we created together. He was a true talent and will be missed by all of us." Lane penned Warrant's most famous songs including "Cherry Pie," "Heaven" and "Uncle Tom's Cabin." Over the years, Lane and the remaining members of Warrant had a tumultuous relationship. Lane left and rejoined the band several times, most recently reuniting with the original members in 2008. This reunion lasted only a few months and Lane was permanently replaced in Warrant by vocalist Robert Mason. In between his time with Warrant, Lane worked on several solo projects and toured with other 80s metal acts. Slash: "Just heard about Jani Lane. What a shame. RIP man." Nikki Sixx (Motley Crue): "I just heard the sad news about Janie Lane. So hard to swallow when people have kids. RIP." Alice Cooper: "Our thoughts go out to our fallen brother Jani Lane, his family, his friends and his fans." 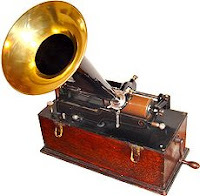 As previously mentioned, in 1877, Thomas Edison invented the phonograph and made the first sound recording. In 1960, Pete Best became the new drummer for The Beetles. (note the early spelling) Their previous drummer, Norman Chapman, had been called into Britain's armed forces after he had replaced Tommy Moore the month before. The band would leave for Hamburg, Germany the next day. The Beatles' film A Hard Days Night opened in 500 American theaters in 1964. Blind Faith made their live debut at Madison Square Garden in New York in 1969. In 1970, Janis Joplin performed her final concert, at Harvard University. In 1982, R&B soul singer Joe Tex died of a heart attack at the age of 44. He is most often remembered for his hits "I Gotcha", which made it up to #2 in 1972 and "Skinny Legs And All", #10 in 1967. In 1985, Kyu Sakamoto was killed in a plane crash, when Japanese Airlines Flight 123 crashed and burned on a thickly wooded mountain about 60 miles northwest of Tokyo. He was 43. Sakamoto had the 1963 US #1 and UK #6 single, “Sukiyaki,” which made him the first Japanese artist to hit the top of the US singles chart. In 1989, the two-day Moscow Music Peace Festival was held at The Lenin Stadium in Moscow, Russia. Western Acts who appeared included Mötley Crüe, Ozzy Osbourne, Bon Jovi, Skid Row and Scorpions. This was the first time that an audience had been allowed to stand up and dance at a stadium rock concert in the Soviet Union. Previous to this, all concerts had to be seated. In 1994, Woodstock '94 opened in Saugerties, NY. The opening was on the 25th anniversary of the Woodstock Music and Art Fair. In 1995, a wake was held for Jerry Garcia in Golden Gate Park, San Francisco. In 1997, MTV debuted the Fleetwood Mac reunion concert. The special was taken from two performances at a Warner Brothers soundstage a few months earlier. In 2010, Richie Hayward, drummer and co-founder of Little Feat passed away at the age of 64 after contracting pneumonia as he battled liver cancer.